John considers himself an all around kind of guy. He loves God, his family and his country. John's formal educational degrees are from Eastern Illinois University and Southern Illinois University School of Law. 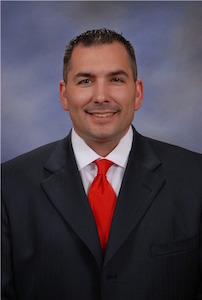 John is licensed to practice law in the State of Illinois and State of Missouri. He is admitted to practice in the United States District Courts for Southern, Central and Northern Illinois, the Eastern District of Missouri and the Eighth Circuit Court of Appeals. John is a trial lawyer. He has litigated, tried jury trials and argued cases in both state courts and federal courts. John is a member of the Bar Association for the State of Missouri and Illinois, as well as the local Bar Associations for Cape Girardeau County, Missouri and Alexander-Pulaski County, Illinois. Member of the American Trial Lawyers Association, Missouri Association of Trial Attorneys and the Illinois Trial Lawyers Association. John, his wife Orleta and their children, Gracen, Avery and Zavier, live in Cape Girardeau, Missouri. They enjoy traveling and doing things as a family. When John is not in the courtroom, he enjoys high energy and adrenaline packed activities. Over the years, John has enjoyed motorcycling, skydiving, hunting, shooting guns, exercising and scuba diving. In college, John competed on an NCAA rifle team. John enlisted in the US Army and earned the parachutist badge and time honored infantry cord. John was commissioned by the President of the United States as a Lieutenant in the infantry and attained the rank of First Lieutenant before being honorably discharged.